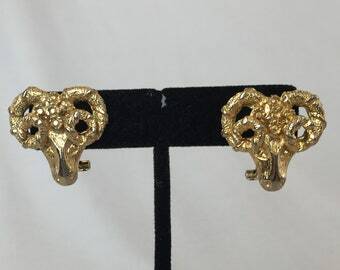 Ram Head Earrings. Vintage Earrings, Gold Tone. Zodiac Aries.